Tribute quilts are designed to honor a person or a significant event. I have helped clients celebrate the life of a loved one by incorporating clothing into intensely personal artwork that can be enjoyed now and handed down to future generations. I've also created one-of-a-kind art quilts to celebrate weddings and anniversaries, birthdays, new babies, and even to say "thank you." Contact me to discuss how I can help you pay tribute. This group project was created to raise money for the Institute of Cancer Research in London, UK. 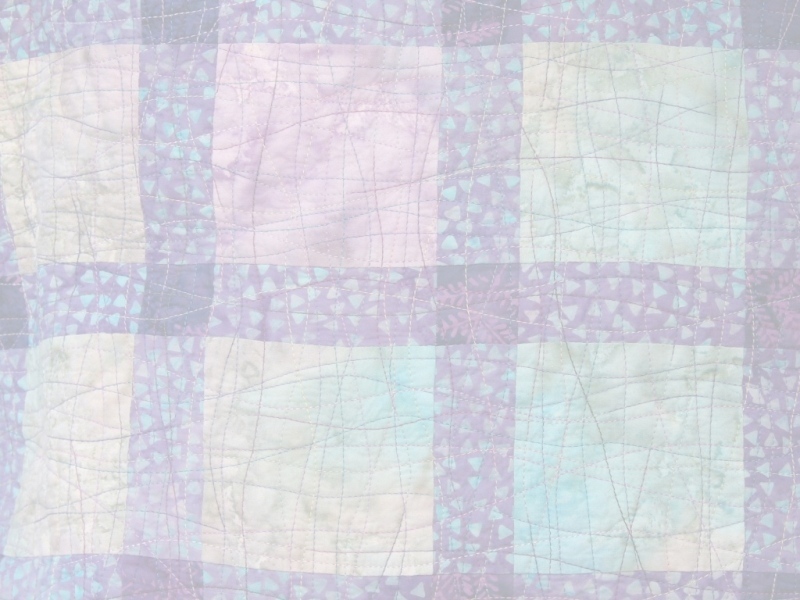 Each colorful bit of fabric comes from a bow tie worn by the man this quilt honors. In a private collection. Each frame of the film represents another aspect of the energetic and charismatic man this quilt honors. Owned and commissioned by Linda Lee Kaye. This quilt was shown at the 2007 IQA judged show in Houston, TX. Each print fabric in this quilt is from a necktie that belonged to my client's husband. Owned and commissioned by Marian Wood. The cross in the center is a rubbing done at the church where this couple is very active. This quilt celebrates their wedding. This baby quilt was commissioned as a gift for a couple adopting a child from Guatemala. All rights reserved. Last modified 02/14/2013 .